In City of Seattle v. Erickson, the WA Supreme Court held that the Prosecutor’s peremptory strike of a minority juror was a prima facie showing of racial discrimination requiring a full analysis under Batson v. Kentucky. In 2013, Matthew Erickson, a black man, was charged in Seattle Municipal Court with Unlawful Use of a Weapon and Resisting Arrest. After voir dire, the City of Seattle (City) exercised a peremptory challenge against tjuror #5, who was the only black juror on the jury panel. After the jury was empaneled and excused from the courthouse with the rest of the venire, Erickson objected to the peremptory challenge, claiming the strike was racially motivated. The court found that there was no prima facie showing of racial discrimination and overruled Erickson’s objection. Erickson was convicted on both counts. Erickson appealed the municipal court’s decision to King County Superior Court. The superior court affirmed the municipal court, finding that the circumstances surrounding the challenge did not raise any inference that the juror was stricken because of his race. The judge did not address whether Erickson’s motion was timely. 1. Did Erickson waive his right to a Batson challenge when he objected after the jury was empaneled and both the jury and venire excused? 2. Did the trial court error in finding that Erickson did not make a prima facie showing of racial discrimination when the City struck juror #5? For those who don’t know, in Batson v. Kentucky, the United States Supreme Court created a 3-step process for enforcing the constitutional rule against excluding a potential juror based on race. First, the defense must show that the circumstances at trial raise an inference of discrimination. Second, the prosecutor must give a nonracial reason for the strike. Third, the court decides if the prosecutor intentionally discriminated against the juror because of race. The decision was made to stop the unfair practice of race-based peremptory strikes of qualified minority jurors because at that time, prosecutors could easily mask their efforts to exclude racial minorities from jury service. First, the Court ruled that Erickson did not waive His Right to a Batson challenge when he objected to the striking of a juror after the jury was empaneled but before testimony was heard. It reasoned that a number of federal courts also allow Batson challenges after the jury has been sworn. Read together, the case law has adopted rules requiring that a Batson challenge be brought at the earliest reasonable time while the trial court still has the ability to remedy the wrong. The Court further stated that objections should generally be brought when the trial court has the ability to remedy the error, and allowing some challenges after the swearing in of the jury does not offend that ability. Second, the WA Supreme Court Court ruled that the trial court did, in fact, error in finding that Erickson did not make a prima facie showing of racial discrimination when the Prosecutor struck juror #5. In other words, the peremptory strike of a juror who is the only member of a cognizable racial group on a jury panel does in fact, constitute a prima facie showing of racial motivation. Also, the trial court must ask for a race-neutral reason from the striking party and then determine, based on the facts and surrounding circumstances, whether the strike was driven by racial reasons. The WA Supreme Court reverse Erickson’s conviction and remanded his case back to the trial court for a new trial. My opinion? I’m very pleased. I wrote about unlawful race-based peremptory strikes in my blog on State v. Saintcalle; a WA Supreme Court case having similar dynamics, peremptory strikes and Batson challenges to the case at hand. In that post, I was very disappointed that the WA Supreme Court failed to fix a systemic problem of Prosecutors exercising race-based peremptory strikes during jury selection. Finally, the WA Supreme Court has become more proactive in stopping this unfair, unconstitutional practice. It’s not enough for Prosecutors to give utterly superficial reasons for striking minority jurors when the real reason for striking them is blatantly staring us in the face. Now, and finally, Prosecutors must prove that their decision to strike is not race-based. This subtle, yet oh-so-important shift in perspective effectively addresses what’s really happening during jury selection and makes a solution toward preventing race-based peremptory strikes. Excellent. The Washington Supreme Court is considering a new court rule which would effectively end racial bias in jury selection. 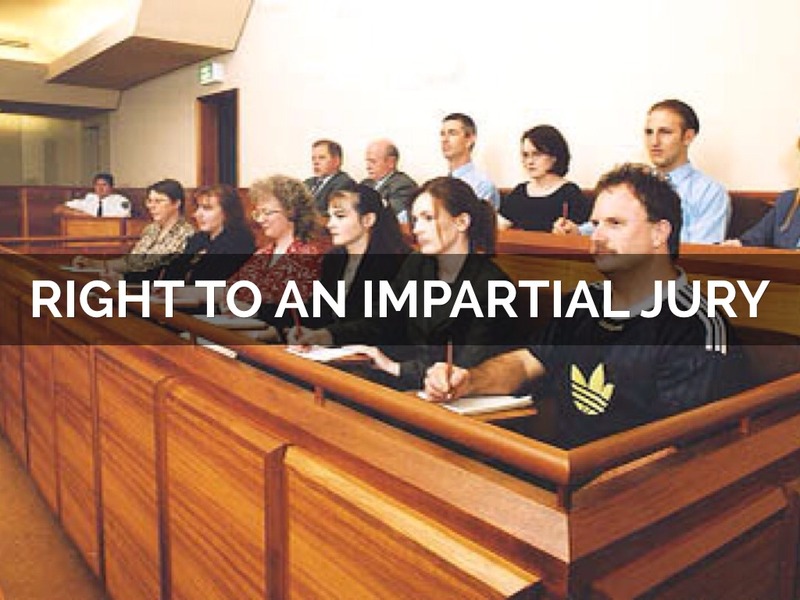 Proposed General Rule 36 (“GR 36”) is proposed by the American Civil Liberties Union (ACLU), and is meant to protect Washington jury trials from intentional or unintentional, unconscious, or institutional bias in the empanelment of juries. In State v. Saintcalle, the Washington State Supreme Court expressed concerns that the federal Batson v. Kentucky test fails to protect potential minority jurors from racial bias during jury selection; specifically, the Prosecutor’s use of peremptory challenges to strike them. Saintcalle, 178 Wn.2d at 36. In addition to the WA Supreme Court’s Saintcalle, the ACLU also argues that legal scholars have also long noted Batson’s failure to effectively eradicate discrimination in peremptory challenges. The ACLU proposes that GR 36 addresses this problem by employing a test that utilizes an objective-observer standard. Apparently, the trial court would invalidate a peremptory strike if an objective observer could find that race or ethnicity was a factor for a peremptory challenge. GR 36 also gives trial courts the necessary latitude to protect the justice system from bias by granting courts the freedom to raise objections to a peremptory strike sua sponte. It would also bring greater diversity to juries, so that juries in Washington are more representative of the communities they serve. The rule would also improve the appearance of fairness and promote the administration of justice. My opinion? I hope GR 36 passes. The Washington State Supreme Court has the flexibility to “extend greater-than-federal Batson protections” through its rule-making authority. Also, other states have adopted court rules dealing with the Batson issue. GR 36 preserves the use of peremptory challenges as part of the right to a jury trial while at the same time addressing racial bias in jury selection. Thankfully, the rule also provides guidance to the judiciary and attorneys about how to apply the rule. By adopting this rule, Washington will ensure that its justice system is not improperly tainted by bias, protect Washingtonians from discrimination, ensure diversity in juries, and address systemic, institutional, and unintentional racism in jury selection. Client was charged with Assault Fourth Degree Domestic Violence (DV) under RCW 9A.36.041 and Malicious Mischief Third Degree (DV) under RCW 9A.48.090. Here, Client allegedly destroyed her ex-boyfriend’s laptop and struck him in the face while they argued. Both crimes are gross misdemeanors punishable up to 1 year jail and a $5,000 fine each. Making matters worse, a conviction for DV crimes brings enhanced jail penalties, mandatory DV evaluations and treatment, mandatory probation, a court-imposed No-Contact Order with the alleged victim and loss of firearms rights. The Prosecutor refused to negotiate or resolve the charges in light of client’s prior criminal history. Also, the alleged victim insisted he was victimized throughout his relationship with Client. Nevertheless, and at trial, Mr. Ransom successfully suppressed evidence of Client’s prior bad acts and criminal convictions under Evidence Rule (ER) 404(b) and ER 609. Although the judge denied Mr. Ransom’s self-defense jury instruction, Mr. Ransom successfully prevailed at trial by raising reasonable doubt to the State’s lack of evidence and the alleged victim’s lack of credibility. The jury acquitted Client under 1 hour. State v. Strange: Was the Jury “Tainted” or Impartial? In State v. Strange, the WA Court of Appeals Division II decided the defendant’s right to a fair and impartial jury was not violated by a prospective jurors’ statements concerning their own prior experiences with child molestation. Here, defendant George Strange was accused of Child Molestation Second Degree and Voyeurism. from 2011 to 2013, Strange lived with his wife and his wife’ s children, who are juveniles. Here, juvenile J.M. was 12 years old when Strange allegedly fondled her breasts one night. He explained he was giving her a breast examination. Juror no. 54 was excused for unrelated hardship reasons. During trial, other witnesses testified to Strange’s odd behavior around J.M. Additionally, the State played a recorded video of Strange being interviewed by a police detective who commented on Strange’s behavior during the interview. Finally, Strange did not call any witnesses nor did he testify. At the end of trial, Strange was found guilty on all counts. On appeal, Strange argued that his right to a fair trial by an impartial jury was violated because of prospective jurors’ statements concerning their own prior experiences with child molestation, either in their families or among friends or acquaintances, which tainted the entire jury venire. The court rejected Strange’s arguments. It reasoned that article I, § 22 of the Washington Constitution guarantees a criminal defendant the right to a fair trial by unbiased jurors.” Also, the Sixth Amendment to the United States Constitution also guarantees the right to a fair trial by impartial jurors. Here, no prospective juror professed any expertise about sexual abuse cases. Therefore, there is no concern about a prospective juror with more credible, authoritative knowledge tainting the rest of the jury pool. Second, most jurors were merely questioned about their experiences with child molestation and asked if they could remain impartial. 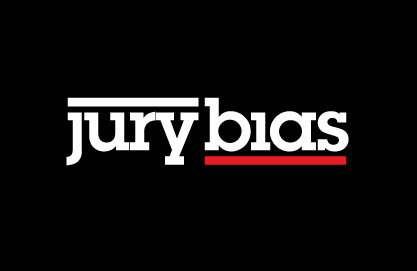 Some jurors admitted to a potential bias, most said they could apply the court’ s instructions impartially, and two prospective jurors asked for individual voir dire, preferring not to talk about their experiences in front of the rest of the jury pool. Consequently, the Court of Appeals decided that Strange received a fair trial by an impartial jury. Finally, the court rejected Strange’s argument that his defense attorney was ineffective because he failed to object to the admission of Strange’s recorded interview with police. The court reasoned that because defense counsel’s failure to object was a legitimate trial tactic, it cannot be said that Strange’ s trial counsel’ s performance was deficient. Therefore, his claim for ineffective assistance of counsel fails. The decision of Strange’s attorney to not play the video was a legitimate trial tactic, and did not amount to ineffective assistance of counsel. My opinion? 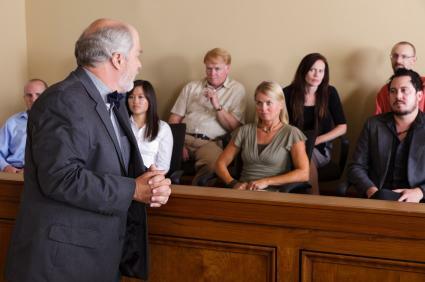 Oftentimes, during jury selection, prospective jurors say things out loud which may appear to discredit the defendant, especially when the charges are particularly galvanizing. A defense attorney must be cautious in proceeding with these jurors. A good technique is to ask the juror to extrapolate “what they mean” if the juror says they have difficulty being objective, and/or if the juror says the defendant “must be guilty of something.” The attorney can strike the juror for cause because the juror could be biased against the defendant. Still, it’s difficult to “unring the bell,” so to speak, when a prospective juror says controversial things which may hurt the defendant’s chances at trial if the rest of the jury pool believes that juror’s statements. This is the essence of “tainting the jury,” which is reversible error and should be avoided at all costs. In response, another good tactic is to inquire if other potential jurors feel the same as the juror who aired their grievances. Find someone shaking their head “No.” Ask them why. Chances are, they’ll say something about giving the defendant a fair trial, or presumption of innocence, or something like that. Test the waters. Guide the jurors back toward their oath that they MUST presume the defendant not guilty throughout trial. Remind them that if they serve as jurors, they’re under oath to withhold their personal biases and reserve judgment until after hearing all of the evidence.